Debbie Carson established Carson Acupuncture in 2005 with a commitment to provide quality healthcare while working in partnership with patients. With the best interests of her patients at heart, she prides herself on working with varying styles of medicine, both Eastern and Western, to give patients the most effective, integrated health care for their specific needs. Debbie’s interest in Chinese Medicine began after receiving regular acupuncture treatments nearly 20 years ago. The benefits, both physical and emotional, were so successful that her interest in a holistic medicine that addresses the body, mind and spirit soon drew her to Chinese Medicine. After graduating from Portland State University with a Bachelor of Arts degree in History, Debbie chose to continue her education and pursue her interest in medicine and the healing arts. Debbie went on to study acupuncture for four years and received her Master’s degree at the Oregon College of Oriental Medicine in Portland, Oregon. She accumulated more than 3,000 hours of advanced academic study and clinical practice, working intimately with practitioners of Traditional Chinese Medicine (TCM) and naturopathic physicians at one of the top Chinese Medicine schools in the country. 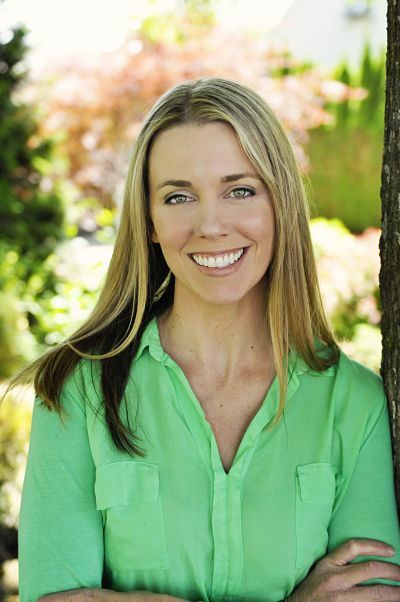 Debbie is licensed by the Oregon Board of Medical Examiners and is certified by the National Certification Commission for Acupuncture and Oriental Medicine. I believe that Chinese medicine has a place in every person's life. In addition to a patient's primary health concern, I treat for stress relief and for illness prevention. I also treat people who are at their worst and hoping for some kind of relief. Many of the people who come to me for treatment have run out of Western Medical options to treat their pain and or chronic illness. Often they wish that they would have tried Chinese Medicine years before. With the intention of holistic healing, I do acupuncture, I incorporate massage into their treatment, and I discuss lifestyle changes to facilitate movement in their lives. In the process of healing, I work with each patient to find the best approaches to promote vitality, physical health, flexibility, strength, personal integrity and self awareness. I try to see each patient uniquely and take the time to listen and evaluate their health concerns. If you have questions about whether or not acupuncture may be able to help you, please feel free to call or email me. Although health issues and concerns may change quickly with just a few sessions, I wish to establish a continuity of care which could establish a focus of optimal health through the stresses of aging and illness. I encourage integration of many modalities of healing. These may include Western Medicine, herbal medicine, nutrition, Naturopathy, movement arts, Qi gong, Psychotherapy or counseling, intuitive medicine, and meditation. I find this to be an exciting time to be practicing medicine. Eastern and Western medical theories and treatment methods are merging. I look forward to being a part of my patient’s journey; encouraging them to be an advocate for their health care needs, and helping them find ways to live a healthier life.